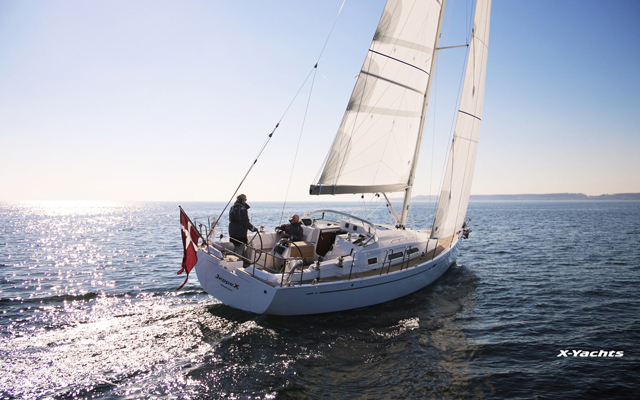 The next generation of a classic Danish-built boat still makes tracks. 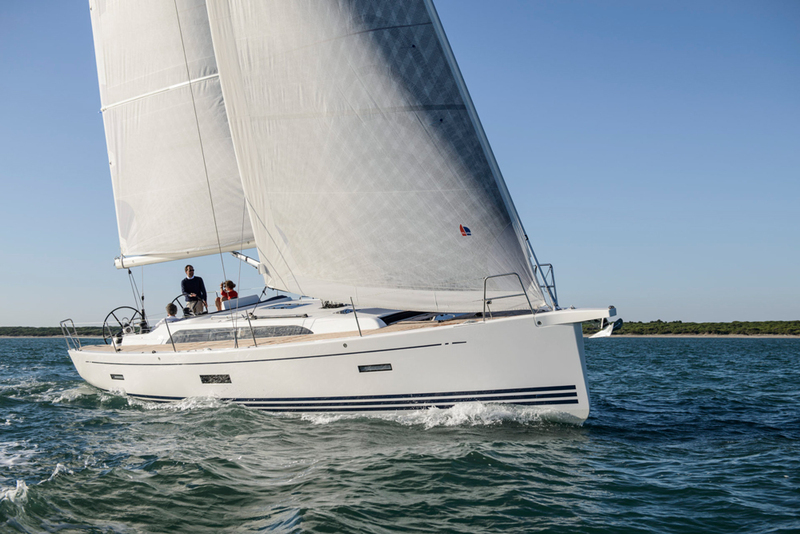 Danish builder X-Yachts has revamped and reintroduced their popular Xc 45, which we tested on Chesapeake Bay. Still a great performer, the model has benefited from some updates and is ready to ride again. 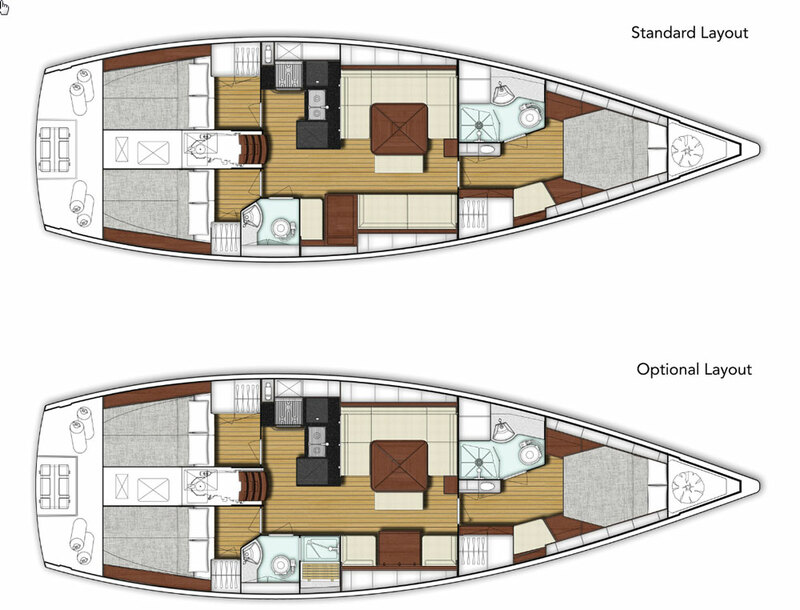 Builders introduce “Mark II” versions of existing models to stretch their investment in hull molds and interior design. 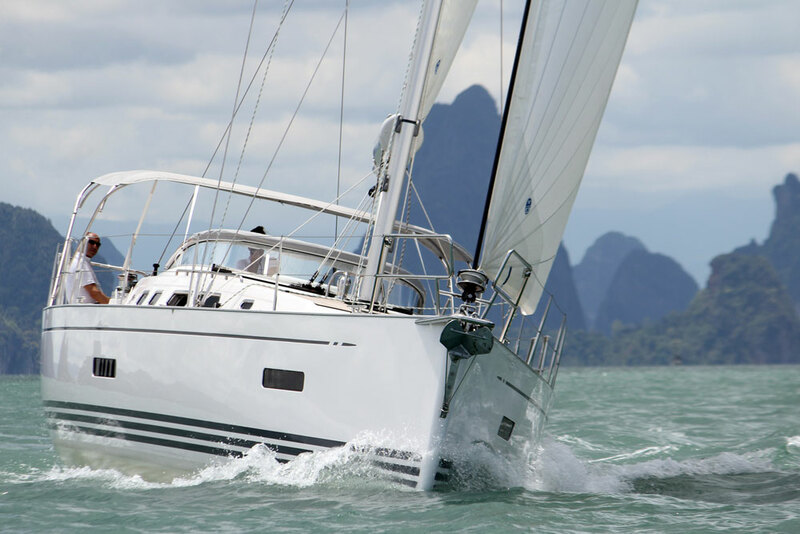 A proven bluewater cruiser that was introduced in 2007, the Xc 45 can still carry a voyaging couple to the farthest anchorages - now with added style and comfort. The “c” in Xc 45 stands for cruising. 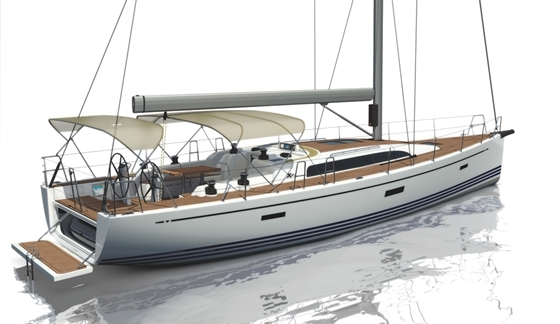 X-Yachts builds two distinct lines; c for cruising and p for performance. Arguably, however, both models are speedy, a trait we’ve seen with other X-Yachts like the Xc-35 introduced two years ago. In flat water and a breeze of 14 to 16 knots, our test sail went swimingly with speeds of eight-plus knots regardless of the point of sail. The Xc 45 will tack through 60 degrees and doesn’t drop her speed in the turns. That’s good news for anyone who may want to club race the model or make tracks upwind on a passage. 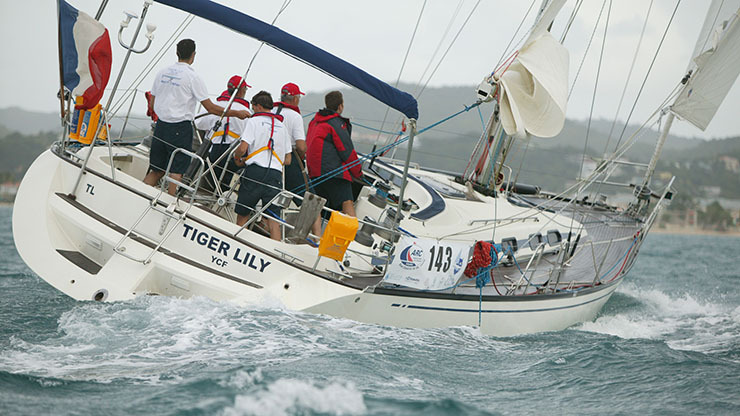 Our highest speed was 8.6 knots at 60 degrees apparent wind angle and the helm was one-finger light. With her 2,000 square foot cruising spinnaker, the Xc 45 could easily do nine or 10 knots downwind, but alas, we had no sail to test this with. A 75 HP Yanmar diesel pushes the boat efficiently under power. On flat water we motored at 8.5 knots at 3000 rpm. Her deeper hull sections are more comfortable for beating upwind than flatter performance hulls, and the shape also provides interior volume for extra stowage and bigger tankage. An integral steel girder frame spreads the loads from the keel-stepped rig and her engine, tanks, and batteries sit deep down in the hull to lower the center of gravity. Tankage is respectable for offshore cruising, with 116 gallons of fuel and 162 gallons of fresh water. True to her bluewater roots, the Xc 45 has a relatively narrow but deep cockpit good for offshore work. Twin wheels are positioned rather close together but as you sit outboard on either side with one hand on the wheel, there’s good visibility forward and under the genoa. 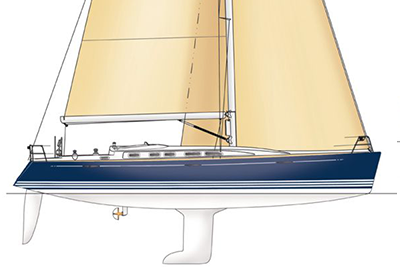 The Xc 45 offers three headsail options: a 94% self-tacking jib, a 108% headsail or a large 140% genoa. 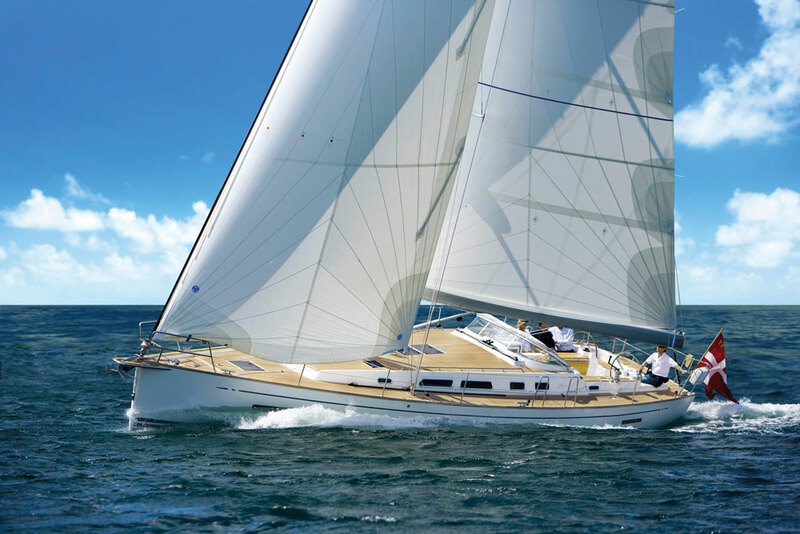 Because the Xc 45 carries a Solent rig, the most versatile sail plan would be a small working jib on the inner stay with a furler and the large genoa for broad and beam reach runs. The nine-tenths fractional rig supports triple aft-swept spreaders and a total sail area of 1,135 square feet. An optional sprit is available as an attachment point for an asymmetrical and rod rigging comes standard. All lines are led aft to the cockpit in tunnels under the deck. Andersen winches for halyards and reefing are on the cabin-top by the companionway, and behind the small windshield. The split backstay makes it easy to board via the drop-down transom. The middle section lowers manually to create a small swim platform and allow for passage via an opening in the cockpit coaming. A drop-leaf table is on the centerline with seating on either side. The table will be useful for dining and also for bracing when heeling. Raymarine instruments were at both helms on our test boat but engine controls and the optional bow thruster are to starboard, only. It was easy to move from one side to the other with a hand one of the wheels at all times. Today’s interiors are all about volume for easy living at anchor. That makes the boats comfortable and provides a lot of freeboard. But yachts like the Xc 45 are designed to travel, and what may be desirable at the dock isn’t always best for offshore. With a beam just over 14 feet, the Xc 45 is quite narrow—and that’s not a bad thing, as this boat will make quick work of upwind sailing. The relatively fine hull of the Xc 45 may not maximize interior volume, but it allows this model to sail more easily. The builder also provides plenty of ways to brace oneself or hold on when the boat is on her ear during a rough passage. Good grab rails run along each side of the cabin-top just below the portlights, providing a way to get the length of the cabin, with one hand always having a good hold. The galley to port is L-shaped and positioned at the bottom of the companionway steps so food can be handed up to a hungry crew quickly, and without much movement needed by the cook. There’s lots of countertop space bordered by fiddles integrated into the Corian, so dishes have only so far to slide. The Eno three-burner gimbaled stove means the cook can have multiple pots going at once, and a top-loading refirgerator/freezer combination will keep the cold air from escaping when opened. For quick access to small items like a stick of butter, there’s also a front-loading fridge. An abundance of soft-closing drawers keep kitchen tools organized. The saloon gained light and ventilation as compared to older models because the opening side portlights were enlarged in the revamp. A C-shaped settee is to port, and wraps around a table with a centerline seat that can squeeze in two more for dinner. A straight settee to starboard adds lounge space and with a lee cloth, would make a nice sea berth since it’s unlikely that anyone will be sleeping forward on passage. The finish on our boat was a light teak with a white vinyl headliner. Light surfaces and upholstery also serve to brighten up the interior, updating it to today’s tastes. Twin side-by-side overhead hatches in the saloon have increased both light and ventilation, so there’s no cave-like feel below. This will be a very comfortable cabin, in most climates. A forward-facing nav desk is to starboard, and for distance cruising is a must even when today’s navigating is mostly done on an MFD in the cockpit. There’s an option to add a stall shower to the aft head, which will eat up this nav desk space. With this option, the starboard side also gains two seats with a table in-between. 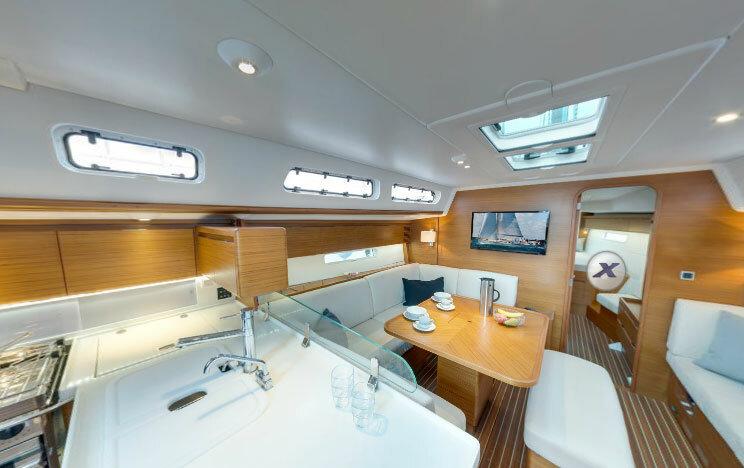 Because there’s already a stall shower forward, however, most cruising couples will likely prefer the nav desk and keep the aft day head more compact. The master stateroom is in the bow and has a center island berth, a small seat, hanging lockers, and an en suite head with a separate stall shower and a Jabsco electric head. Stowage was added throughout the boat, including drawers under the master berth. Our test boat had three cabins, which is standard, but the saloon and aft head layout can be modified. There were nearly 200 hulls launched of the original Xc 45, so clearly, it was a successful design—and making improvements based on owner feedback is not a bad way to refresh the brand. Afer testing hull number one of the revamp, I’d say any cruising couple looking for a safe and capable boat that moves like a luxury car would do well to put this model on their list. 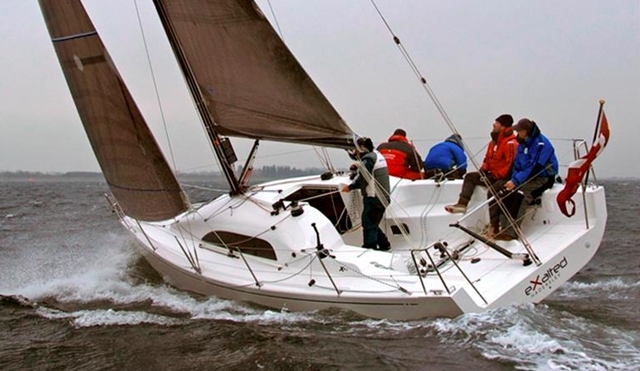 Other Choices: Sailors interested in the Xc 45 are also likely to check out boats like the Dehler 46. 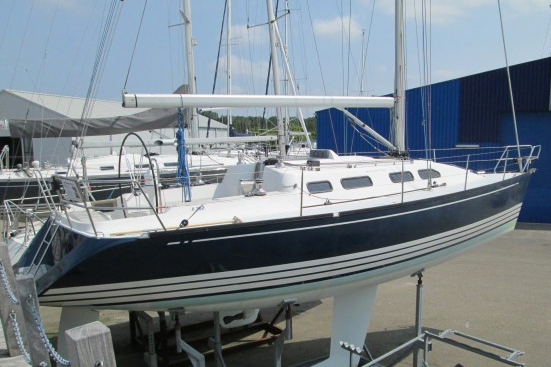 If you're looking for an option that's more cruising-oriented and places less emphasis on speed, the Hallberg-Rassy Mk III 43 would be an option.